Britain is due to leave the EU in just over one years’s time. 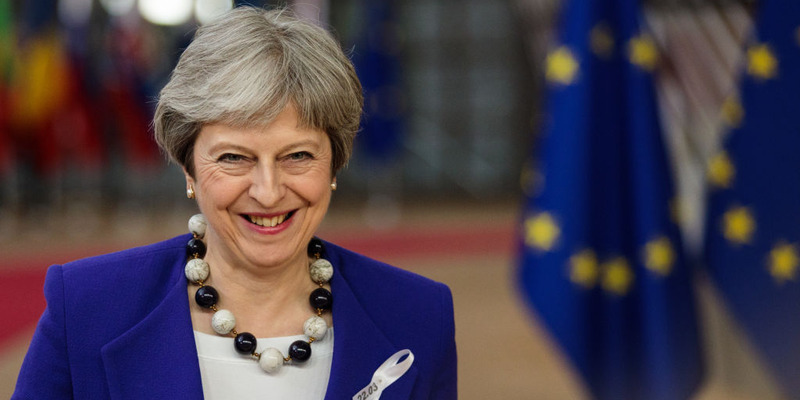 May celebrates clear “progess” on a Brexit deal. LONDON – EU leaders have agreed to move Brexit talks into the final phase after agreeing their negotiating guidelines for the next round of talks. They also insist that any free trade deal with the UK will be dependent on Britain maintaining “existing reciprocal access to fishing waters and resources,” which is hugely controversial among many Brexit-supporting Conservative MPs. Earlier this week several Conservative MPs attended a protest in which former UKIP leader Nigel Farage tossed dead fish into the Thames outside parliament in protest at May’s agreement to maintain current EU fishing rules during the Brexit transitino. However, despite this row, Downing Street are pleased overall that negotiations are progressing. Ahead of the meeting, Theresa May told reporters: “We’ve made good progress on the withdrawal agreement. The EU leaders agreed with May that it is “highly likely” that Russia was behind the chemical weapons attack in Salisbury, England earlier this month. In a statement, the European Council of EU leaders agreed that “there is no plausible alternative explanation” than that Russia were to blame.